Are you looking for a perfect gift for Mom on Mother’s Day? Or your favorite grad to reward their hard work. Or maybe even dad to give them a much needed break. Anyone can benefit from a little bit of relaxing and healing Sanivan style. 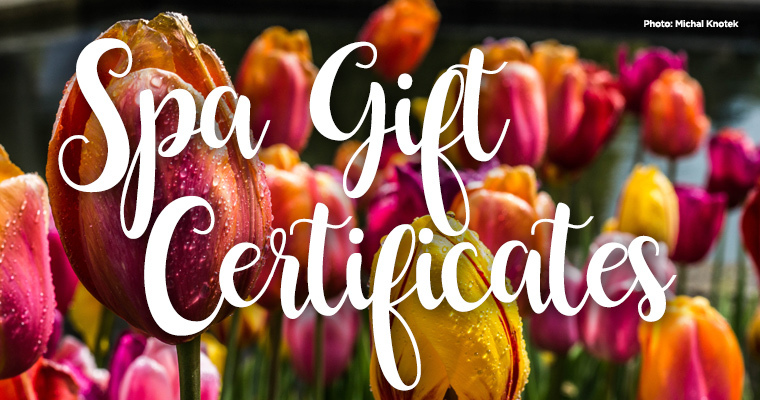 We offer gift certificates for day spa treatments or complete retreat stays, and are happy to customize your gift to fit every special person on your list. To purchase a gift certificate, just email Saniye and let her know the amount you’d like to purchase. Our retreat and day spa package rate pages are a good place to start with choosing the right experience. We look forward to helping you create the perfect gift experience for that special someone. You can reach out to Saniye directly to purchase your certificate or call (845) 434-1849 . Sanivan Holistic Retreat & Spa offers personalized getaways for anyone seeking a naturally inspired healing experience. For over 12 years, co-owners Saniye and Ivan have welcomed guests to share their authentic wellness lifestyle through delicious organic meals, peaceful accommodations, spa treatments and facilities in a beautiful Catskills town near forests, lakes and charming shops. Copyright © 2018 Sanivan Holistic Retreat & Spa.